Arms, a flagship Nintendo Switch title from the same folks who brought us Splatoon, is a fighting game only Nintendo could release. The object of the game, as in many fighting games, is to knock down your opponent. How you do it, obviously, is the trick. In Arms your weapons are, well, your arms. There are 30 different arms for ten characters and the arms spring out and can twist towards enemies. The controls are interesting in that they take advantage of the Joy-Con wireless controllers, allowing you to “punch” in the air to hit your opponents. With the associated arms (or pigtails) you can created up to nine thousand different combinations to shock, freeze, burn, and maul your enemies. Gameplay is wildly simple and the entire package is quite bright and addictive. In short, it has everything that made Splatoon so fun and addictive. 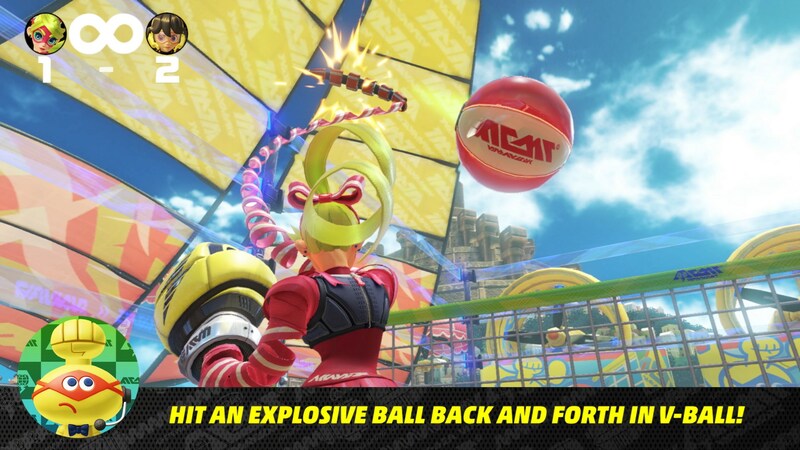 The characters include Ribbon Girl who can multi-jump in mid-air while her twirling ribbon arms, Min Min and her spin kick, and characters like Master Mummy who regain health automatically. When you start the game you have access to three arms. 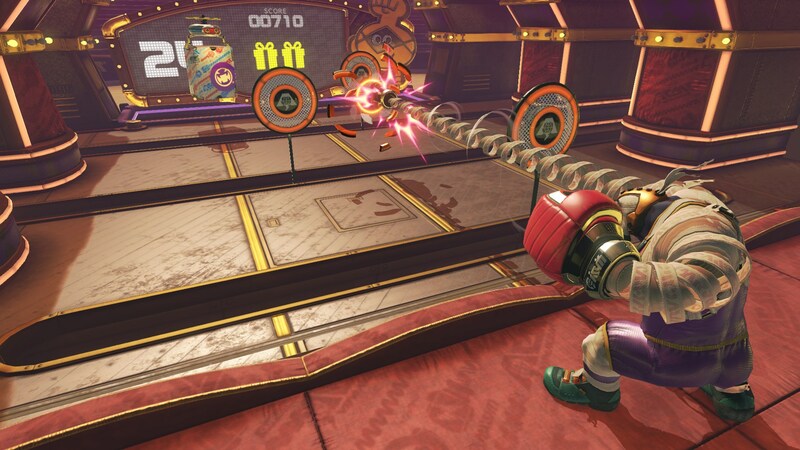 To get more arms, you must visit the Arm shooting gallery, a mini-game of skill and chance that you pay for using in-game currency. To gather more Arms you target and shoot floating prizes in the shooting gallery after unlocking access to the mini-game. If the sheer number of combinations of arms doesn’t compel you, there are also abilities to use and master. 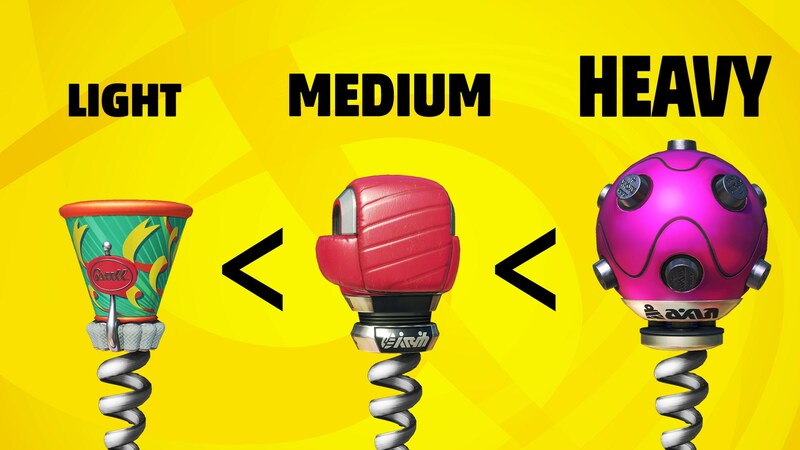 Arms is an easy game to play, but a hard game to master. You can hand the controller to a child – our five-year-old loved it – and they’d be able to play easily. 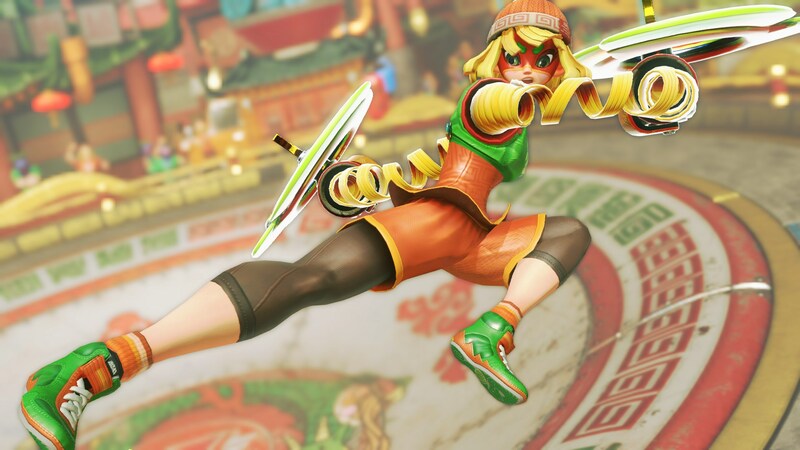 The best thing about Arms is that there are no in-game purchases to tempt kids into dropping $19 for a new costume. As in Splatoon, Arms features a wide and interesting variety of maps. Each map features a different theme and each one requires a different style of play. 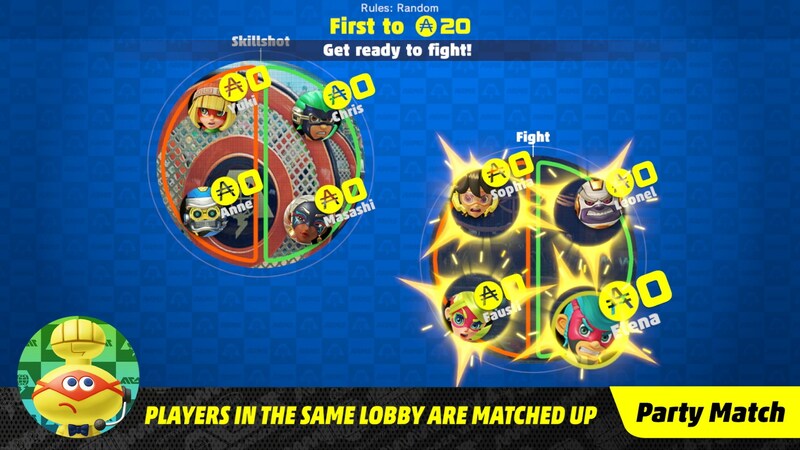 You can play in Grand Prix mode, a gauntlet to become the champion, or Versus mode, a way to hone your skills in games like Team Fight, V-Ball, Hoops, Skillshot, and 1-on-100. Online play lets you join a group of up to 20 people and play a variety of all the different modes. You also have a chance to team up to fight a special boss with 2 other people. Even when you are not playing and waiting for other players to finish up their games, there is a warm-up zone to practice in, emotes, and a cool-looking “lobby” where you can wait for your next battle. This is a Switch must-have and promises to create a beautiful and exciting new franchise for Nintendo . Games on the Switch are currently limited to a few star titles and you can safely and easily add Arms to this illustrious list.